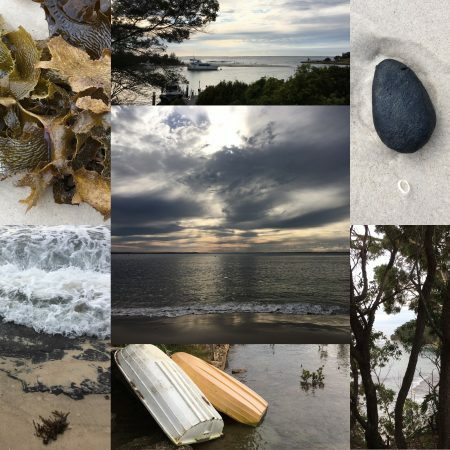 In the last post I talked about the workshop that I went to in Jervis Bay…well I just wanted to continue on from that Blog and let you know about were I stayed. Its sometimes tricky to make a decision about where to stay…so if you are heading down the coast from Sydney and you need a great place to stay…. book into the Huskinsson Bed & Breakfast (huskissonbnb.com.au) Its a gorgeous cottage with about 5 rooms? and owned by the delightful Kate and Steve. A 5 minute walk is the main street with great cafes and restaurants… just past the main street is the spectacular beach! Huskisson is well worth a visit!